Hundreds of people gathered in Saskatoon last week to help create the regional submission to the Federation of Sovereign Indigenous Nations’ (FSIN) approach to Jordan’s Principle beyond April 1, 2019. Jordan’s Principle is a child-first principle named in memory of Jordan River Anderson, a child with complicated medical issues who died in the hospital at five years old while the federal and provincial government argued over who is responsible to pay for his at-home care. The principle ensures that First Nations children can access public services when needed, and will be culturally appropriate. The government of first contact is responsible for service, and resolves payment disputes later. Groups during the breakout sessions at the Jordan's Principle Forum in Saskatoon discuss health, education, and social needs. “The family and community of Jordan River Anderson have shown resilience and courage in moving forward the principle of ensuring our children receive the programs and services they are rightfully entitled to as other Canadians in this country,” said FSIN Second Vice-Chief David Pratt in a release. In 2016, the Canadian Human Rights Tribunal found the federal government is racially discriminating against 165,000 First Nations children and their families for failure to provide equal services, including the proper implementation of Jordan’s Principle. The principle was adopted by the House of Commons in 2007. The First Nations Child and Family Caring Society is now seeking an interim order forcing Ottawa to cover non-status First Nations children living off-reserve, under Jordan’s Principle, who require urgent health care. Gathering knowledge and stories of the experiences of people in the Saskatoon region will help future generations, said Pratt. “Whatever Jordan’s Principle will look like beyond April 1, 2019 will have a positive impact for the benefit of those that are in need of the programs and services accessed will result in an improved quality of life for that individual, families, and communities,” the release continued. The Assembly of First Nations have called on Canada to continue to invest in and implement Jordan’s Principle beyond March 31, 2019, when the authorities for the interim approach expire. 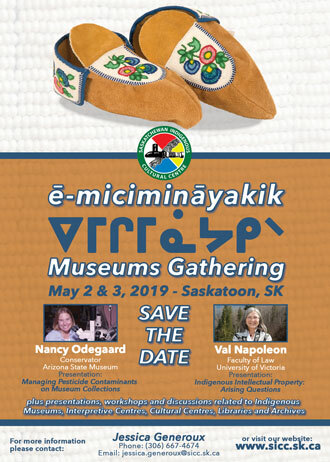 The two-day forum in Saskatoon included an overview and survey of forum objectives, a best practice discussion with dignitaries from the region, and breakout sessions discussing the regional position on health, education, and social issues.